Subscription boxes have been very popular these past years. Companies like Geek Fuel, Loot Crate and NerdBlox have been selling boxes full of pop culture items, collectables and t-shirts for a reasonable monthly price. Quite often, these boxes feature items from Funko, a company known for it’s line of collectable vinyl figures. Funko has its own line of boxes, one being a Marvel Comic subscriptions themed one and the other features Star Wars. Like the Marvel Collector Corps box, you get a special patch and pin revolving around the month’s theme. This Month’s box is The Force Awakens, though it mainly focuses on the First Order, the successor to the Empire. So the patch is a Tie-Pilot from the First Order. 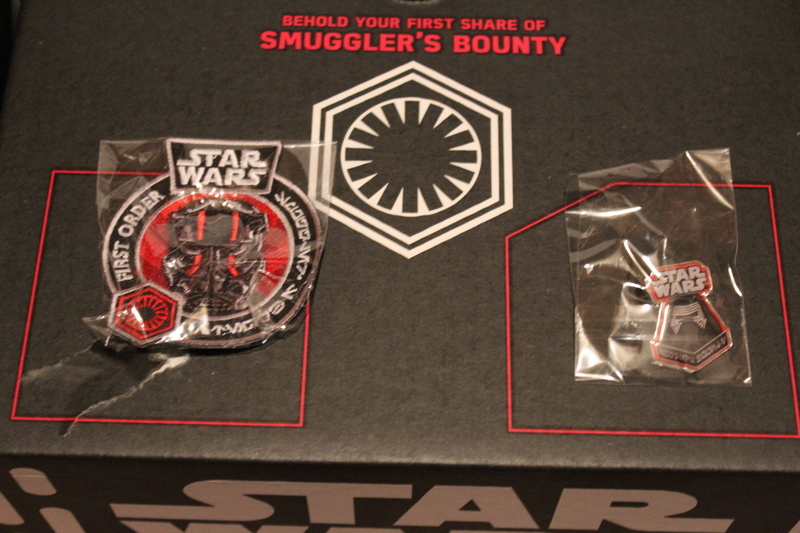 The pin is of Kylo Ren, the Sith-wannabe that seems to be the big bad of the new movie. Both are pretty cool and are definitely unique to the sub. The next items in the box is a lanyard. 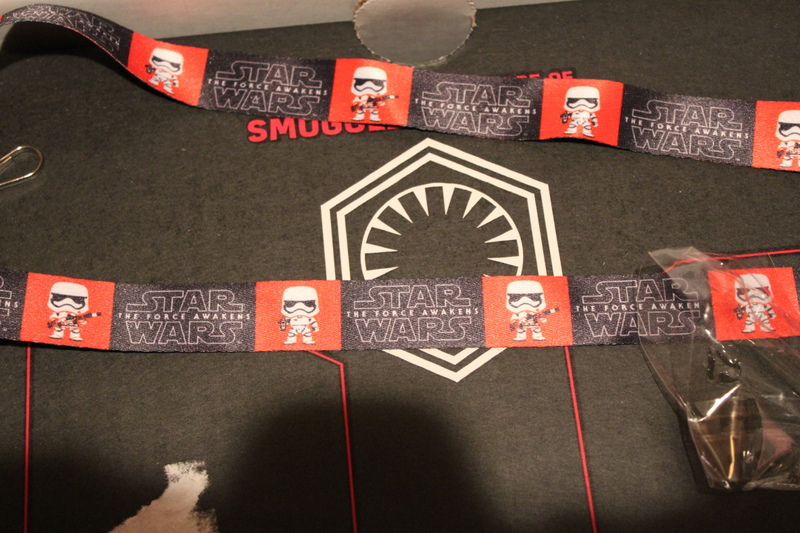 It has picture of various type of the new Storm Troopers in the Funko style. What more can you say about a lanyard? Take a look. Sure it is fine. Sure it is unique. It just seems like filler in a box that promised no filler. I’m okay with it, though. 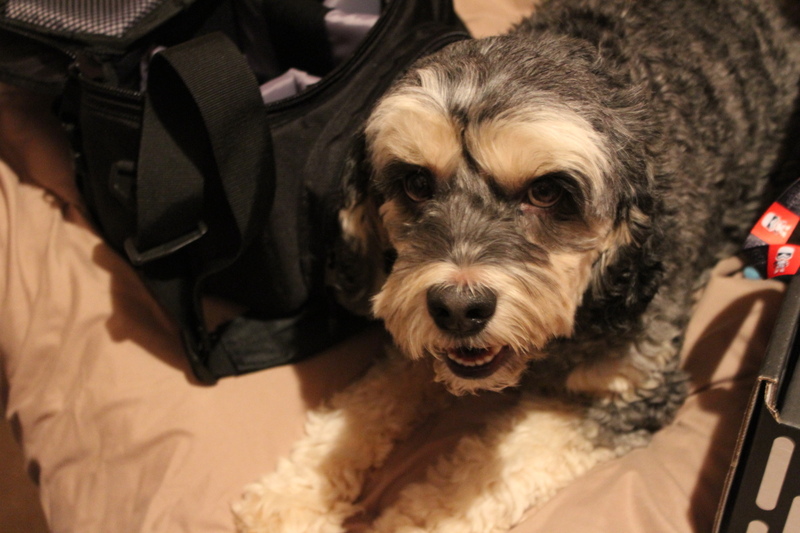 The dog’s not impressed, though. The real feature of this sub are the Funko Pops. You get two Pop Vinyl bobble heads in this month’s box. 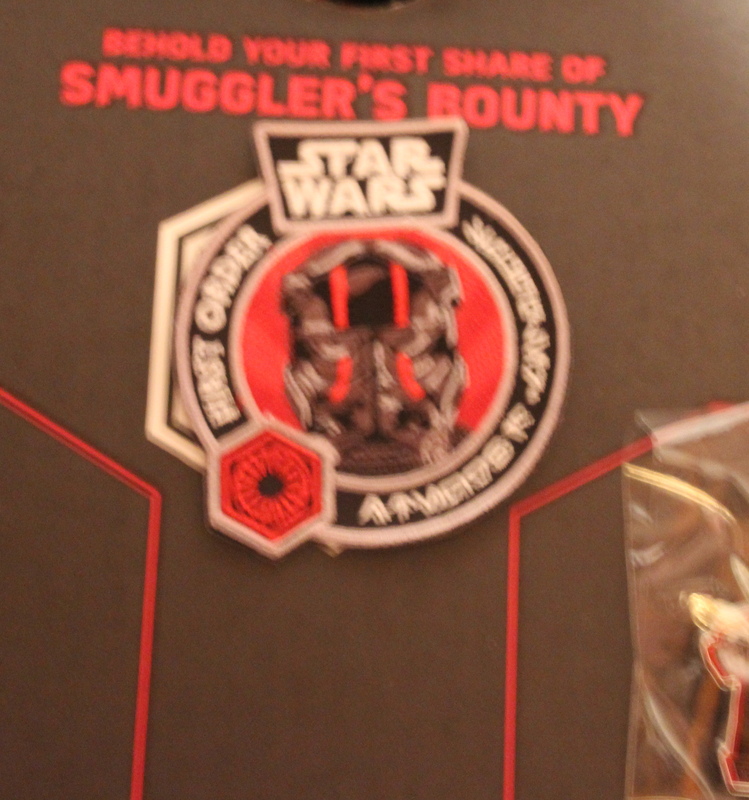 The come in special packaging indicating the are Smuggler’s Bounty exclusives. The Tie Pilot one have two different versions, one with the red stripes on the helmet, or one without. How rare one or the other is, I do not know. The difference is purely cosmetic with the box art reflecting the version you get. The other figure is of Captain Phasma, the shiny storm trooper squad leader(?) played by Gwendoline Christie. The figure is made of a shiny plastic to better resemble her in the movie. There has been some bloggers that had a defective figure with parts falling off, but I had no issues. Smuggler’s Bounty’s next box will ship end of January. The next theme is The Resistance and there are taking orders until 1r January 2016. There are bi monthly subscription (pay for each box as they come out, cancel anytime) or a 12 Box commitment (pay now, get the box for the next two years!). 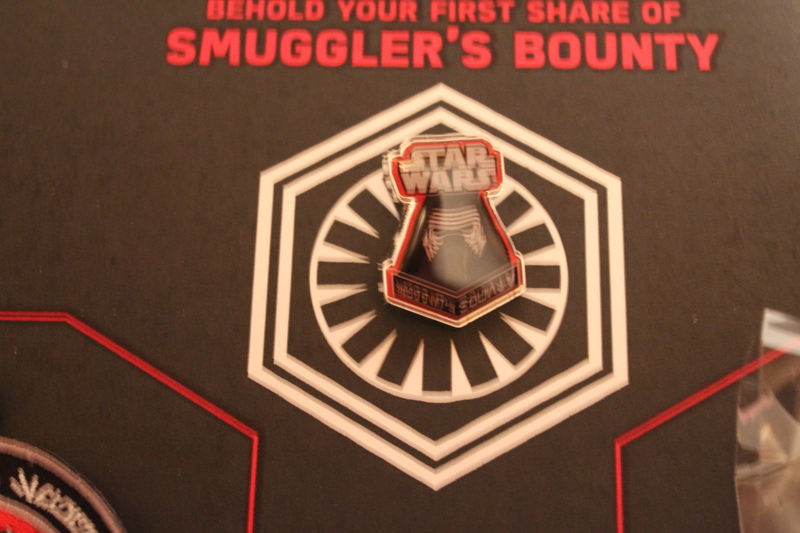 Check out https://www.smugglersbounty.com/ for details.